Of course you can buy Snooker scoreboards at Van den broek Biljarts. 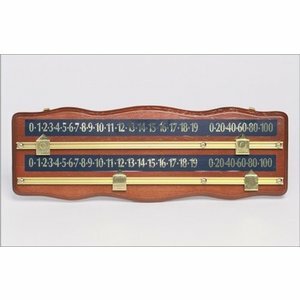 Snooker scoreboards are available in a number of different types and sizes. Of course we deliver the snooker scoreboards with the beautiful copper fittings. This is part of a nice snooker table. Are you looking for other snooker table accessories also this we almost all deliver from stock.